Some fish ought not to be eaten because we have so overfished them that these fish and other sea creatures are becoming endangered. Bluefin tuna, Atlantic cod, and Chilean sea bass are just a few popular examples. If you want to eat them again down the road, it’s time to give them a break now — here is a list of some especially endangered seafood along with some sustainable alternatives. Where I can, I will also give you the few exceptions where an otherwise threatened fish is being caught sustainably somewhere. 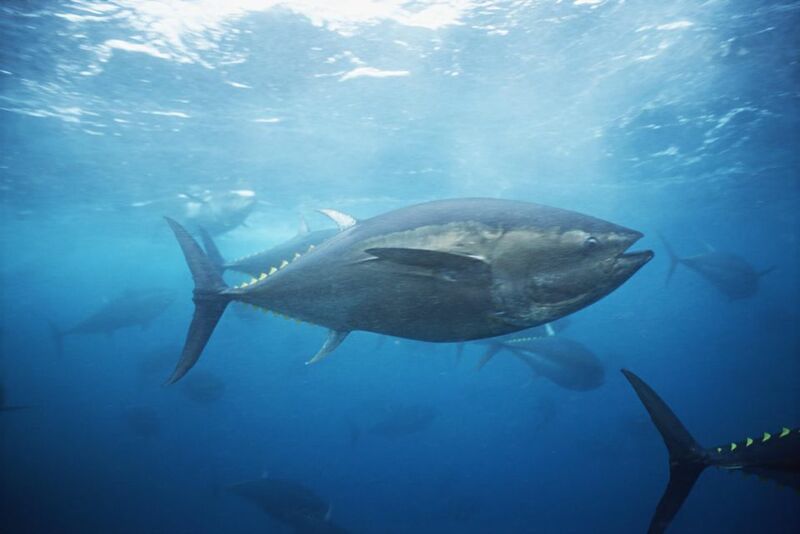 Bluefin tuna is one of the tastiest — and most threatened fish in the ocean. They are overfished everywhere they live, which is all the world’s temperate oceans. The popularity of sushi has largely done in these gigantic, slow-maturing fish; one tuna can bring tens of thousands of dollars at the great fish markets of the world. Alternatives would be yellowfin and bigeye tuna, often sold under the Hawaiian name “ahi.” Be sure to buy tuna caught by American fishermen, who are subject to strict environmental rules foreign fleets are not. Red snapper is a great fish, but it has been hammered everywhere it swims, particularly in the Caribbean. From a taste standpoint, this reef fish is excellent — but not so fine that the more plentiful gray or yellowtail snappers can’t substitute for them. And honestly, avoid the problem altogether and buy black seabass if you are on the East Coast, or Pacific Rockfish if you are in the West. If you must have real red snapper, make sure you buy the varieties that live around the Hawaiian Islands — these are not overfished. Yet. The darling of restaurant chefs, this very firm, very white fish is a prince in the kitchen — so much so it is now endangered in every fishery save one. Things have gotten so bad that pirates are actively running Chilean seabass like drugs. Seriously, avoid this fish at all costs — unless you can get fish certified from the South Georgia Islands off New Zealand. If your fishmonger can’t tell you that the seabass he’s selling is from that fishery, give him a dirty look and choose something else. I’d recommend striped bass or Pacific white seabass as an alternative. Avoid Atlantic halibut at all costs — it is in terrible shape. And unless you can be sure that your Atlantic codfish was caught by hook-and-line, don’t buy that, either. There is a small hook-and-line fishery for cod in New England that is not damaging stocks and should be supported. But codfish caught in gillnets or, worse, fish trawled off the bottom, need to be left alone. Your best alternatives are on North America’s other coast: Pacific halibut and Pacific cod are both virtually identical to their Atlantic cousins, and neither is in bad shape. This was the “it” fish of the 1980s. White and mild, Orange roughy was the tilapia of its day — only it was wildly overfished from the deep ocean. The big problem with this fish is that it grows so slowly: some can live 100 years! So the decimation roughy suffered in the 1980s won’t heal fast. Besides, this fish isn’t all that great in the kitchen; I think it’s pretty bland. Use tilapia or Pacific sole — Petrale sole, especially — or flounder as an alternative. This one is all about geography: Spiny lobsters from California are abundant, but those in the Caribbean are threatened. So unless your spiny lobster is from the Pacific Coast or Australia, don’t buy it.